You’ve probably noticed how many marketing automation tools are available, and you’re probably wondering how to choose the one that’s best for you. We like HubSpot, but below you’ll find several other marketing automation platforms to consider (and the reasons we love HubSpot so much!). ActiveCampaign started as an email marketing platform but now offers marketing automation and CRM features. Their automation campaigns automate marketing activities like emails, SMS, and tagging as well as sales and productivity. 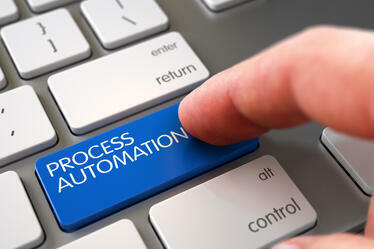 In the CRM, you can create different pipelines to cater to various sales processes. You can also share email templates and automation campaigns with other ActiveCampaign users by giving them a unique link to import them into their account. ActiveCampaign doesn't offer many email templates, so it's useful to share with others. If you use Gmail, ActiveCampaign's Gmail extension for Chrome is invaluable. It tracks open rates of emails and allows you to access and manage contact records in the sidebar when viewing email conversations so you always know who you’re talking to, where you left off, and where you are on the deal. If you compare features 1-to-1, SharpSpring is the closest alternative to HubSpot on this list. SharpSpring offers a full suite of marketing automation features, including tracking visitors on the website (even anonymous visitors) and creating automated campaigns. The platform provides analytics, including basic analytics like page, email, and sales metrics; it also offers holistic reporting for an overall picture of your marketing campaign, which makes it easy to show ROI. Its CRM includes everything a sales team needs to sell, including detailed reporting. SharpSpring is also one of the only HubSpot alternatives to offer blogging capabilities. Wishpond is geared at generating leads through social media, but it also offers a drag-and-drop landing page builder with built-in templates and marketing automation features so you can nurture leads with personalized emails. Wishpond also includes popups to help you capture leads. What makes Wishpond unique is its contests and promotions feature. You can run photo contests, sweepstakes, referral promotions, coupons, etc. The core of Infusionsoft is its CRM, which makes sales operations simple by enabling invoicing, billing, collection, and other communications in one place. A basic plan allows you to build campaigns, set up landing pages, and send emails while tracking contact data in the CRM. Infusionsoft stands out for its ecommerce functionality, which allows you to sell physical or virtual products while tracking the data in the CRM. So … what about HubSpot? We like HubSpot and we cannot lie. In addition to lead scoring, smart forms, blog management, drip campaigns, and social media campaigns, they offer responsive landing pages, A/B testing, SEO improvement, and tracking and qualifying leads to convert customers. It’s also easy to use and offers knowledgeable and dependable customer support. That isn’t to say HubSpot is perfect – occasionally we run into issues. However, we love HubSpot because it’s an all-in-one inbound marketing platform for marketing, sales, and customer service. It’s the only marketing automation tool that can run digital marketing, connect to sales, host your website, build your brand experience, and seamlessly integrate with your sales pipeline and opportunity management. There’s no one-size-fits-all marketing automation tool, and HubSpot can be expensive if you aren’t going to use most of its features. For a deeper dive into more alternatives to HubSpot and a more in-depth look at their pros and cons, please read 8 HubSpot Alternatives for Marketing Automation by Viktor Nagornyy and The Top 14 HubSpot Competitors and Alternatives of 2019 by Ryan Scott. And if you have questions, contact us!